Did you know that tasks become much easier when you do them on a daily basis, because then they become habits! I read an inspiring post on Linkedin about how much easier it is to complete tasks when you incorporate them into your daily routine so that they become a daily habit. It goes for all sorts of things in your life; like writing a post for your blog, doing exercise, and cleaning your kitchen. When you do something everyday, it becomes second nature. The task becomes so familiar that you can do it without thinking too much about it. It becomes a part of your life, rather than something you have to plan, or find the time to fit it in. I don't know about you, but I am a 'to-do' list addict. I can't help it. I just LOVE making pointless lists. I say pointless because I will make a list and then never look at it again. The reason I never look at the list again is because I write lists on any old scrap of paper I can lay my hands on, so I have lists all over the place, with no sense of order. Creating to-do lists stresses me out because while I am making the list I am consciously bringing my attention to a million things I have to do, most of which are unnecessary tasks anyway, and all of which are usually completely unrelated, which causes chaos in my head. I also know while I am writing the list, that I am probably never going to look at it again; and so I leave myself with the overwhelming strain of knowing that I have lists and lists of unfinished business. If you are like me and you love making lists, just for the sake of making lists, but you would also like to reduce the stress you are causing yourself and find a way to turn your lists into a useful habit, why not try following some of these tips. Group your to-do lists. Trust me, it is much easier to keep focussed when you sort your to-do tasks into relevant groups. For example you may have a group dedicated to tasks related to a specific project you are working on, or you may have a group of domestic tasks for the week. When you group tasks on your to-do lists, you reduce the chaos in your head! Organise your lists visually. Everyone who uses a Filofax or similar planner knows the importance of tab organisation. 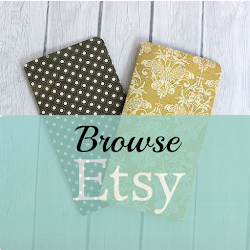 If you are an over-the-top list maker you may want to consider dedicating a whole Filofax or notebook system to your list making, so that you can arrange your lists into sections. 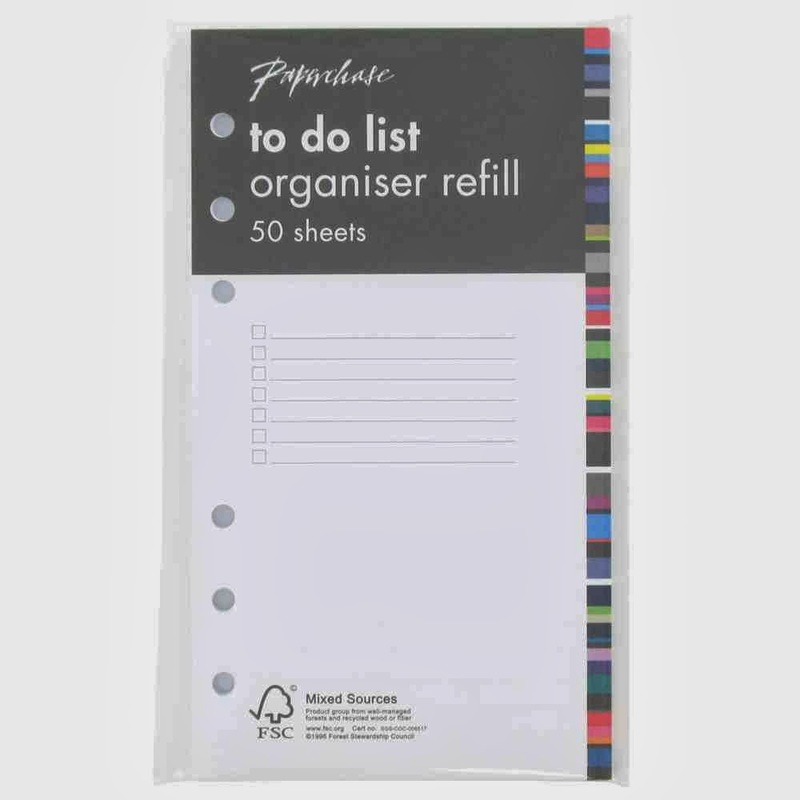 Think about how best to organise lists to suit you, for example, in your organiser perhaps you have tabs for each project you are working on, or each area of your life, in which case each of these sections can have a dedicated list. Alternatively you might want to keep all of your lists together in one section with clear headings so that you can distinguish which lists are which. Figure out a simple system to tick off your tasks. The most satisfying thing about keeping to-do lists is when you actually start completing tasks and you can start ticking or crossing them off your list. Suddenly you feel like you are getting somewhere! You might want to adopt a colour-code system, or use stickers or draw little symbols so that you can recognise what stage you are at with each task on your list. Sometimes you may not be able to complete a task entirely, but if you have a symbol or way to mark a task as 'started' or 'near to completion' then it can make you feel better about your productivity, which is the whole point of list-making. Always aim to feel good about your productivity, and design your system around that. Try to keep lists as short as possible. There is no point in creating pages and pages of lists, because all you will see is a list of never-ending tasks. Think about the ways in which you can design your list-making process and still see an end point. For example, you could aim to keep your lists on one page for the week, and any task not completed can roll over onto the next week, but that means you will have less space for the following week. This will encourage you to aim to complete tasks in the week they were set. You could create daily lists, weekly lists and monthly lists, but keep a closer eye on your short daily lists. the best way is to experiment and see what works best for you. Great tips, especially keeping the brain dumps and necessary lists separate. I don't have too many lists - my tasks to do sometime this month; tasks to do this week and tasks for the day. My favorite method for marking things off is to use a highlighter. It makes it really easy to see what's been done and what's left. How to Create a Unique Dashboard for your Filofax - The Filofancy Way! I Found a New Zipper Pocket Insert for my Midori Traveler's Notebook! 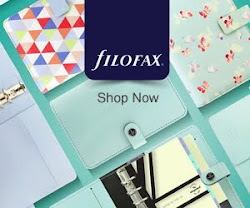 Filofax, Planners & Traveler's Notebook Lovers - Welcome Back! Filofancy Posts may contain affiliate links. When you shop through these links, Filofancy receives a small revenue which helps towards the running of the blog. This does not affect your purchase. 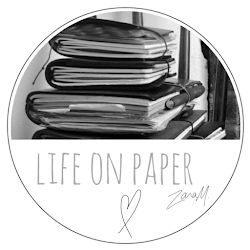 Zara M. is the Author of lifeonpaper.co.uk and she only links to products or services that she genuinely likes the look or idea of. Please note that not all recommendations are based on personal use or purchase. Use your own judgements.